Data analytics and AI is the ideal solution for the home renovation industry. The multi-billion dollar industry faces severe challenges that hamper home renovators. Along with the common pains of home renovation (like the design process), renovators are also facing higher costs, stiff regulation. The lack of transparency represents a huge challenge for many customers who want to renovate their homes, but don’t know where to begin. However, data analytics in home renovation can solve these problems, leading to a more transparent, efficient industry. The most challenging task in a home renovation project is the design and planning stage. For many home renovators, designing and planning are crucial but challenging because it is an iterative process that sees changes made to thousands of variables several times over. If homeowners want to make changes to a kitchen, renovators have to take into account furnishings, piping, heating, lighting, countertop material and more. If homeowners change their minds, then the design would have to be readjusted, and the variables have to change with it. Thus, designing and planning a home renovation project proves to be a big challenge. Home renovation has a strong connection with the finance and retail industry. For example, homeowners might take out a loan for their home renovation or visit retailers to order equipment for the project. However, despite the strong connection between the three industries, there is a distinct lack of transparency and interconnectivity. Thus, homeowners have a hard time completing their projects because they are balancing the requirements of three different industries: home renovation, finance, and redesign. Home renovators have to overcome tremendous challenges. The cost of labour, materials, and a stiff regulatory framework conspire to drive up the cost of a project and eat into profits. One reason for high costs is due to the demand for green, energy-efficient homes. Green homes have a heavier regulation framework and require non-standard materials for the project. Another tremendous challenge is the reliance on external information. For example, when calculating estimates, builders need to get materials from a third-party – relying on an external contractor leads to costly delays in different processes, like calculating estimates. Furthermore, many builders do not use technology in their processes, small builders will calculate estimates manually, instead of using estimate software. Thus, processes that can be completed in hours take days to finish and inefficient business processes represent a cost in the form of missed opportunities. A significant benefit of data analytics in home renovation is its ability to absorb terabytes of data, clean, and analyse it to deliver helpful insights. These useful insights reveal trends based on facts and not opinions. Homeowners desperately need more objective information, when selecting their contractor. Most homeowners only have reviews to rely on, which is too subjective and therefore, not useful. However, homeowners can use objective, fact-based information to get the right contractor, due to data analytics. Thus, homeowners have far more information on their hands, allowing them to make more insightful decisions. Data analytics in home renovation can bridge the gap between home renovation, finances, and retail. Powerful data analytics software can draw information from three vastly different industries to discover significant connections between the three. Furthermore, data analytics is accessible to non-technical people. Many advanced data analytics programs, like SAS, come with several easy-to-use features, like virtual dashboards that make it easy to read data, meaning businesses with non-technical and analytics-savvy people, like home renovators, can now use data analytics. Information can be placed on open source platforms for almost anyone to access it. 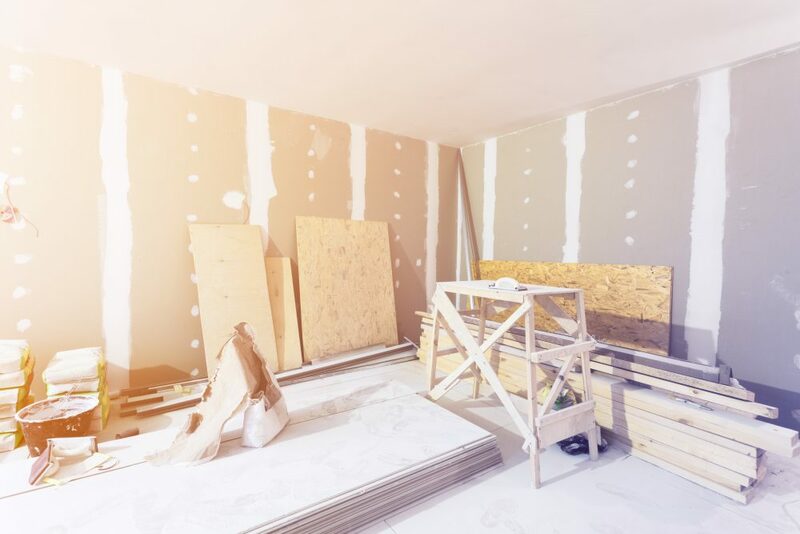 Therefore, home renovation, finance, and retail industries are more transparent, which makes it easier for renovators to deliver better services to customers through fair and accurate pricing methods. Data analytics and AI can improve efficiencies and cut costs for home renovators. Data analytics uncovers unexpected trends that provide unique insight into how renovators are spending their resources. Builders can discover new and innovative ways to conduct the same processes with data analytics in home renovation. The processing power of data analytics models allows home renovators to complete work faster – especially work like calculating estimates. Data analytics even improves the design process. For example, Cowry Cabinets, a home renovation firm based in Canada, developed a Kitchen Designer App powered by AI technology. The app allows home renovators to design a kitchen with just a few clicks, saving time and money. Furthermore, renovators can choose from hundreds of suppliers to purchase their products, saving even more time. Thus, by incorporating AI and analytics into their work process, home renovators can cut costs and improve efficiency. There is a lot of potential for data analytics in home renovation to improve the home renovation industry. However, one significant roadblock for the implementation of data analytics models is the lack of information. Many home renovators, especially smaller builders do not collect data or information. If renovators want to solve the problems they face, it is important to start collecting data on their projects. Otherwise, they will not benefit from the technical innovations proliferating through the healthcare, automotive and other industries. To find out how data analytics is changing aviation, public transport, and other industries, click here.